B U B B L E G A R M: I got my hair done! I got my hair done! 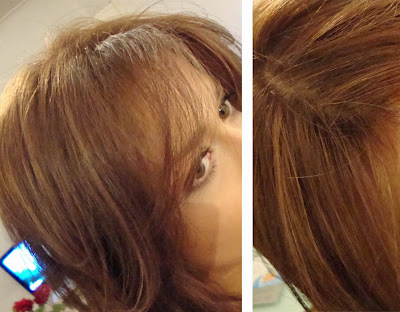 I initially went in requesting a VERY light caramel brown colour, which the stylist was happy to do, but after careful consideration I decided to stick to the brown tone I already had, but to make it brighter as it would be easier to manage when growing my hair. We also decided that this was the colour best suited for my complexion and eye colour. Surprisingly my hair feels so much longer even though I had loads cut off, is that even possible? Most of the photos were taken with flash, in reality the colour is much lighter and more of a golden brown, it looks SO beautiful under natural light. The photo's below were taken without flash, it gives you a good idea of the exact shade. Or, I can part it from the middle which gives me lovely layers that frame my face. 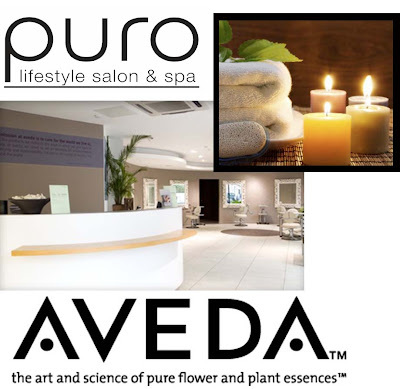 I had my hair done complimentary for review purposes at the Puro lifestyle salon and spa which is an Aveda lifestyle salon. The salon is very new offering a huge range of hair services and various treatments, including facials, stone massages and nail treatments. It is situated on 19 Cumberland Place, London (Near Marble Arch Station) W1H 7AS. What exactly did they do to my hair? I had most of my hair coloured to a shade that was close to my natural colour, the stylist used a different colour on my roots, and a different colour on my ends and then blended them together as the ends of my hair were quite ashy. I had some foil highlights put at the front to add dimension. I had a haircut which basically consisted of chopping off all of my frazzled ends which was A LOT and adding lots of layers and finishing off with a blowdry. The salon is very sleek, classy and modern. My stylist coincidentally was a Turkish lady called 'Ayten', she was SO lovely, and made me feel very comfortable and relaxed as I was super nervous and scared. She made me aware that this is how she treats everybody and that I wasn't getting any extra special treatment. The great thing about Aveda is all their hair dyes are 'natural', they keep a record of whatever they use on their system, so it's easy the next time you pop in. 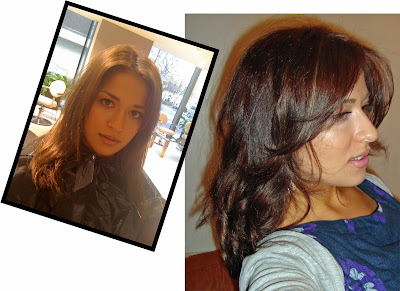 Contact number for the salon is: 0207 723 5028 Cut and blowdry starts from £45.00. So. what do you all think of my new hair? :) It's not a drastic change, but I LOVE it! Clearly I'm going to be blogging about hair more often. Love the new hair.. Awesome color. You look so amazing! I want your haircut! I really like it. The color and cut are gorgeous. 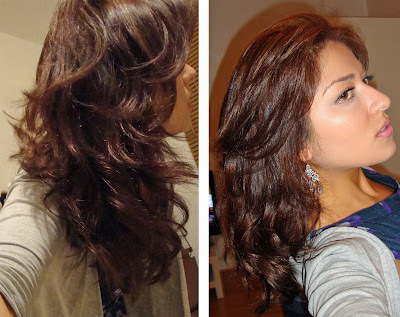 okay you are my hair guru lol, the colour looks lovely, it really does suit you =) yay. it's great you had a good consultation no hair horror stories...the cut and colour are gorgeous. I LOOOOVE your new hair! The cut is sooo flattering on you and the color looks great too! You got lucky...keep going back to that stylist and rock it, girlie! Your hair is GORGEOUS!! Your stylist did a fantastic job and everything from the color to the styling id perfect!! It also highlights your eyes really well!!! Looks great, love the layers! I always get soooo nervous going to the hairdressers, am super careful with my hair and dont think I would ever do something risky haha. Your hair looks so pretty and natural! Thaty really is beautiful. The colour is gorgeous and your hair looks healthy and full of shine! Looks lovely! Love how you can wear it different ways. Looks so healthy! bouncy too!!! You must be so happy with it!! 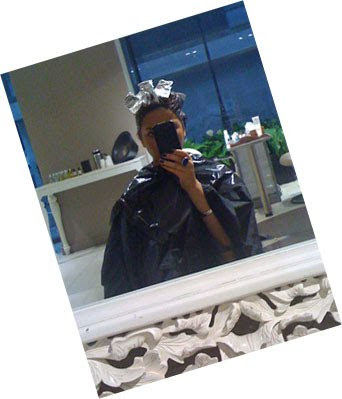 I went to the salon yesterday and you should have seen the foil they put on my head.. i looked like an alien!!!!! Love it ! It really looks beautiful! I've been debating getting tons of layers like this also, for a while now. But i'm worried it will be hard to manage. What do you think? How does it look after a power blow dry compared to styling it? I love the cut and your hair color. The cut seems very versatile and low maintenance and very flattering. You have such a classic beauty. what haircut did you ask for? i love it! it looks gorgeous!! This new color looks amazing on you. I think it makes your eyes really pop! I am in dire need of a dye job... The color has faded unevenly. Blech! Loving the hair cut and the bounciness of it!!!!! And the colour looks so pretty!! !